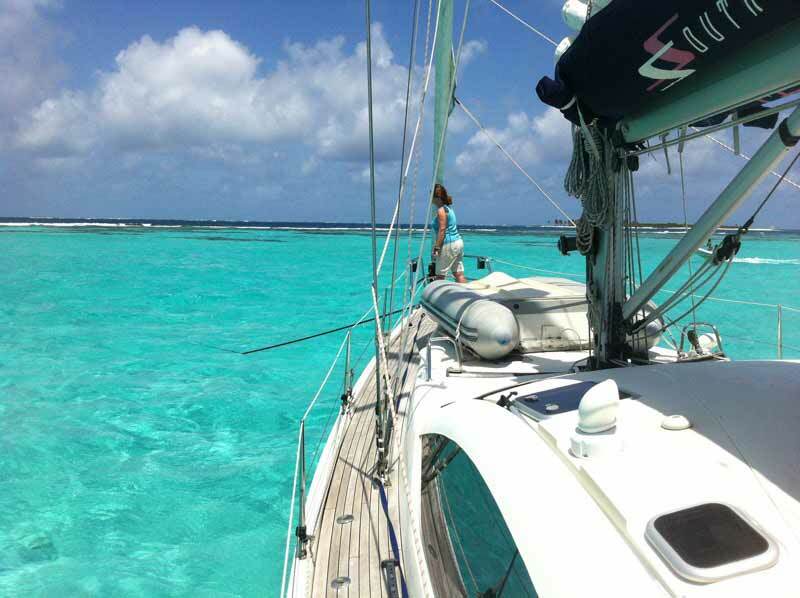 If you are dreaming of a winter getaway for some adventurous tropical sailing, the Grenadines is a good choice! Tiny Islands sprinkled between Grenada and St Vincent, they are a bit more open than the British Virgins but have some great sailing between islands and many super anchorages. 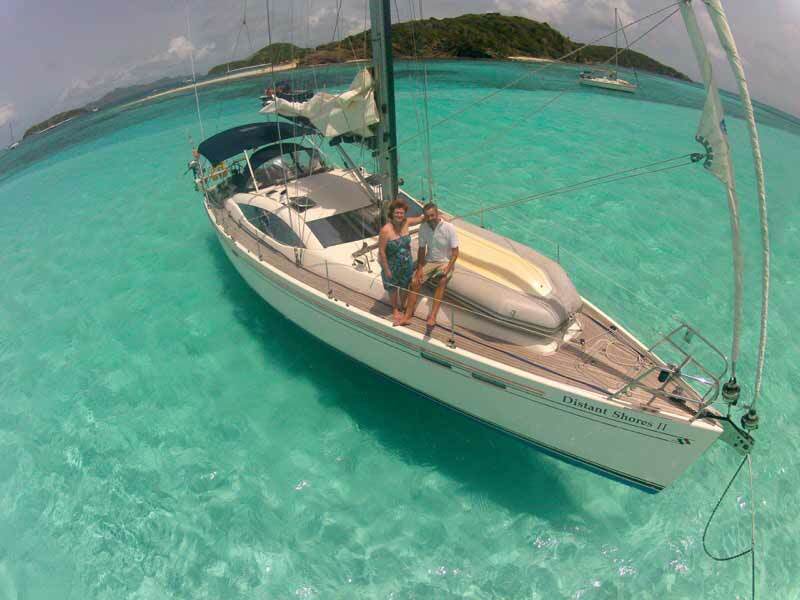 Anchored in the Tobago Cays - the most visited and special spot in the Grenadines. There is deeper water just behind us in this photo. Nice snorkelling on the barrier reef just ahead of us. 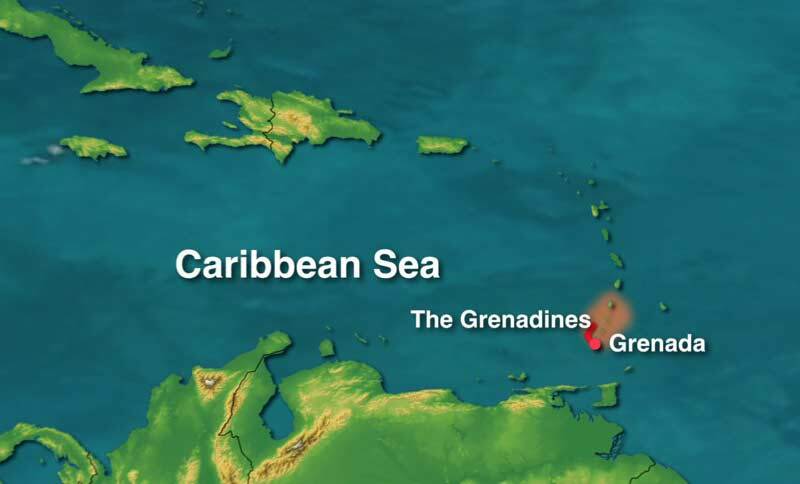 The Grenadines lie north of Grenada and south of St Vincent. 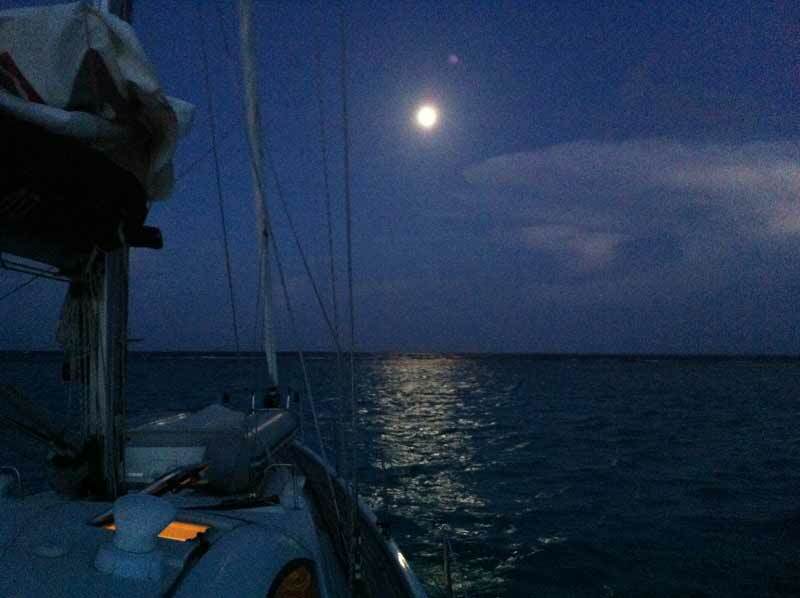 Anchored at night in the Tobago Cays. Its a special feeling to look out to windward and not see any land... surf breaking on the barrier reef comes uninterrupted from Africa. Excellent Seafood can be had here!! 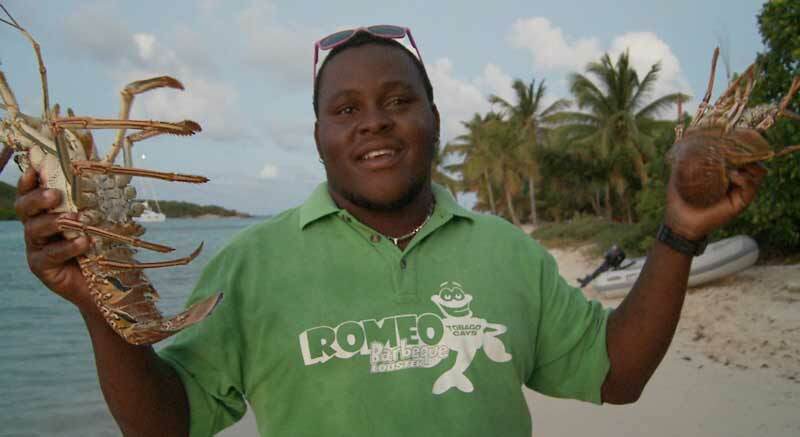 Romeo (and others) prepare dinners under the palms on the beach of the tiny island. Best to book ahead. They will come around in the afternoon and see if you want a dinner. 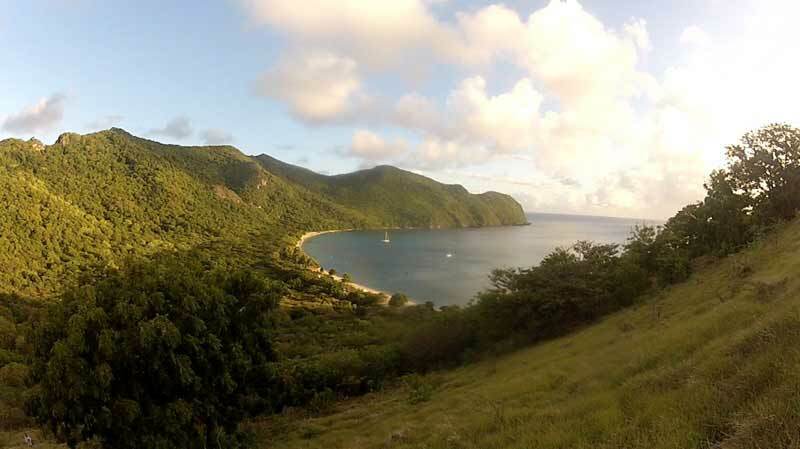 A little quieter scene can be found here in Chatham Bay on the other side of Union Island. It looks much the same as when we visited here 24 years ago on Two-Step. Now a few little beachside operations offer a seafood dinner on the beach... very nice!! 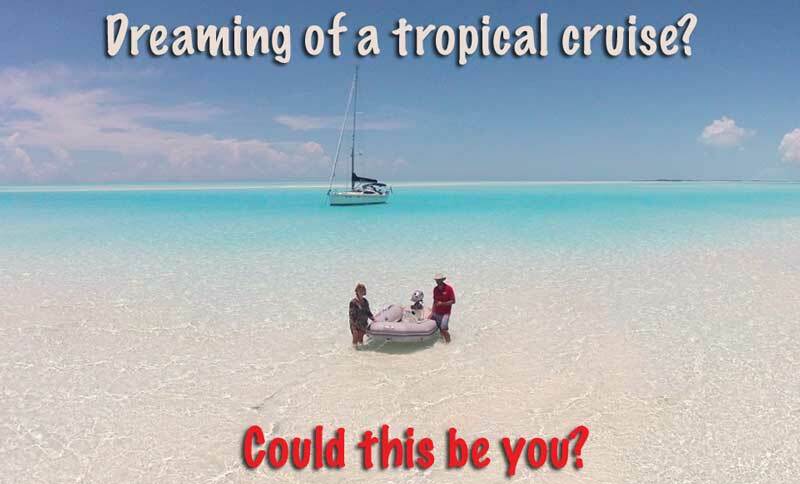 Anchored at the Tobago Cays - a very special place! A cruiser favourite is Bequia (pronounced Beck-way). Seen here is the popular Admiralty Bay. Very friendly cruiser scene! 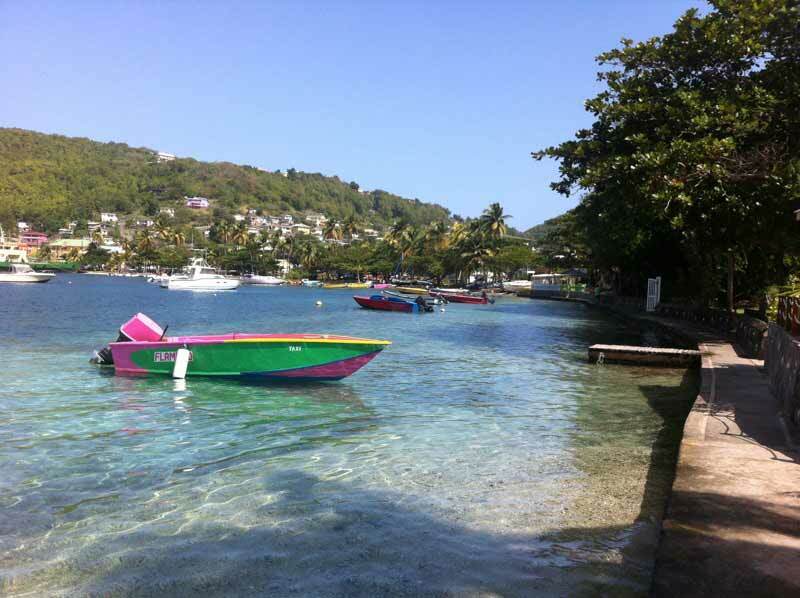 The charming waterfront at Admiralty Bay in Bequia. All Distant Shores DVDs - Plus Downloadable in HD!